The Gaiia Soap holder in Solid Maple is the essential accessory to let air dry your soaps in your bathroom. This allows the soap to never stay wet and offers better conservation over time. Made of solid maple by a French craftsman, it is solid and stable over time. In raw wood, its light color is not tinted. 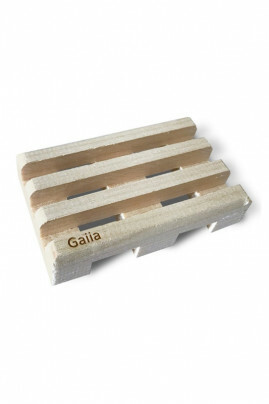 The Gaiia Soap holder in Solid Maple is the perfect companion for your soaps surgras between each use.